Sanya Phoenix International Airport has been ranked 59th in the world in the customer satisfaction survey conducted by the Airport Council International (ACI) in 2010. 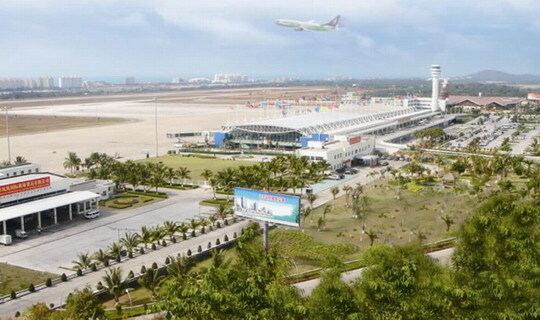 It is the first time for the Sanya Phoenix International Airport to rank among the world’s top 60 airports. ACI, an association of airport authorities of world, made the survey on 34 parameters including the availability of transport for passengers, cleanliness of the airport and terminals and the service of the airport staffs. In 2009, Sanya Phoenix International Airport had ranked 104th in customer satisfaction survey. However, In 2010, the airport has taken a series of effective measures to improve the 10 weak aspects of the airport based on the results of the customer satisfaction survey in 2009 and achieved the best result ever since its involvement in the survey. According to the airport authorities, nearly 300 daily flights arrive at the airport and the seat occupancy is above 85% since the beginning of Spring Festival travel rush. During the Spring Festival, the airport will continue to offer high quality services and transport convenience for tourists from home and abroad.